#21 (Retired) 5'9" Guard from Mt Vernon, Ill.
Bennie Purcell grew up in Dix, Illinois, a small town north of Mt.Vernon. In 1943, when Bennie started high school, made the nine mile trip to and from school each day on horseback. He was a three-year starter for legendary coach Stan Changnon, ending his high school career with 601 points. 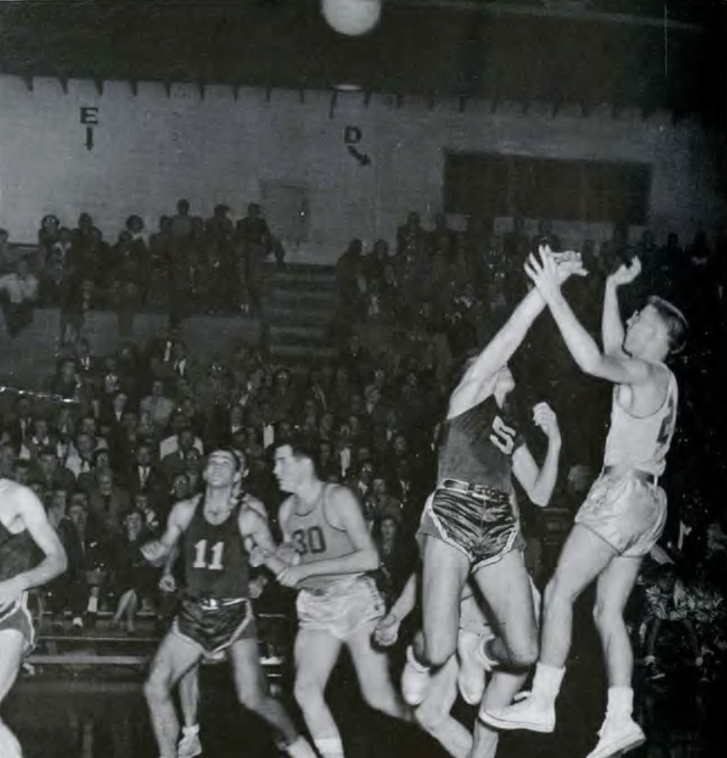 Following high school, Bennie joined the military at the tail end of WWII and spent the year getting in top shape and even managed to work on his shooting. After the war ended, with the aid of an old friend Purcell was put in contact with new Thoroughbred basketball coach Harlan Hodges (a former West Frankfort Illinois High school coach Bennie had played against) and the rest is Murray State history. Bennie took the floor with a bang, scoring 10 points in his first game, leading the Breds to a victory over Kentucky Wesleyan. 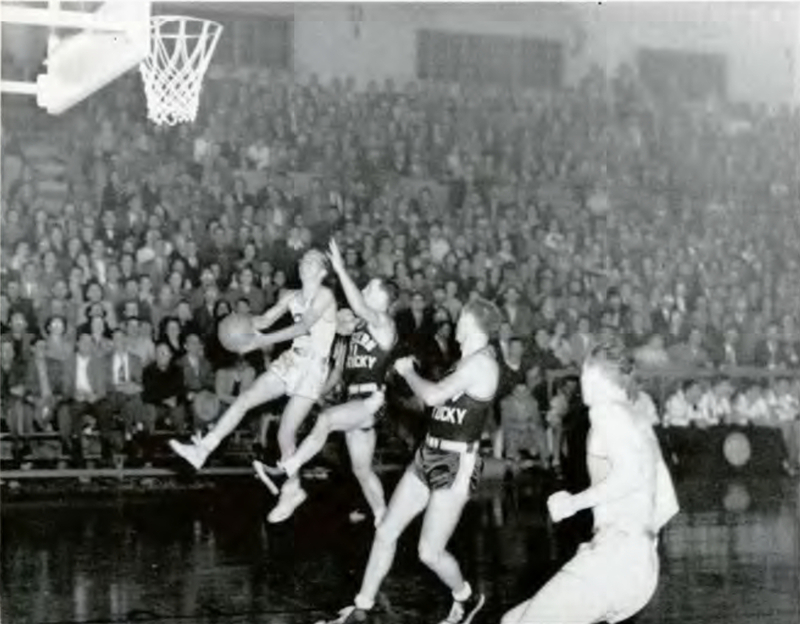 He was an instant crowd favorite, "The crowd always cheered and knew what would happen when Bennie Purcell came onto the floor, complete attention was commanded from the spectators by Bennie's fast zig-zag dribbling." In his junior year, Bennie helped bring home the first OVC championship in school history, "It's difficult to win any championship," Purcell said, adding that it was a "great feeling" to be on the first MSU team to win the OVC title. 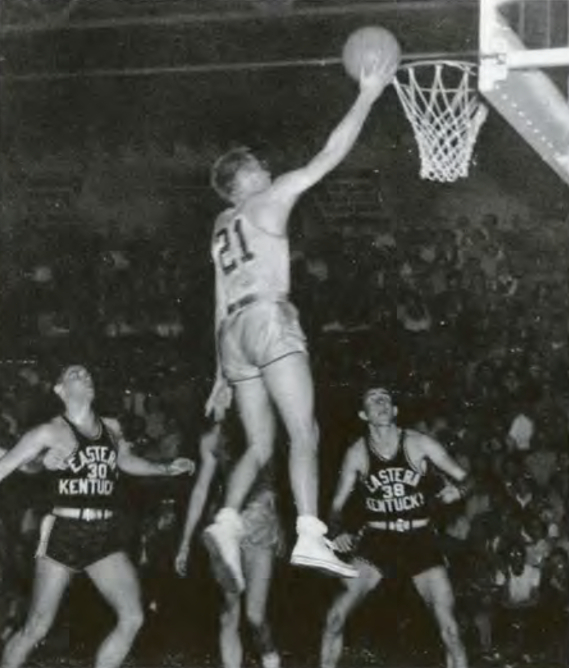 Bennie made the 1951 All-OVC Tournament team and received an honorable mention on the United Press All-American team. "The crowd always cheered and knew what would happen when Bennie Purcell came onto the floor"
Purcell wasn't done yet, and his senior season would be the best the school had ever seen. In January, "Little Bennie" would enter the record books with 41 point effort in an overtime game against Kentucky Wesleyan. In the OVC Tournament Purcell earned All-OVC Tournament honors but he and his teammates fell just short in the final. After that, the Breds moved on to the NAIB Tournament. Purcell was awarded NAIB Tournament MVP as the team made it all the way to the finals before falling in the championship game. Bennie was once again a UP All-America honorable mention and made the UP 'Small-America' team (best players 5'9" and under). When it was all over Purcell set new Murray State single-season records for points (600), made FG (215), made FT (170) and career marks for points (1108), made FG (401), made FT (306), games played (117), and starts (82). Shortly after Purcell was named the NAIB MVP he was selected to join the College All-Americans team for a 15 game tilt across the country against the Harlem Globetrotters. Bennie even missed the basketball banquet because he was in New York preparing for the first game. Bennie performed well against the Globetrotters in the series known as 'The World Series of Basketball.' After graduation, Purcell was selected by the Baltimore Bullets in the NBA draft, he would not make the team however. He then received an offer to once again tour with the Harlem Globetrotters, this time as a member of the inaugural Washington Generals roster. Purcell played for 5 years, mostly with the Generals, traveling across the United States and 46 countries around the world. 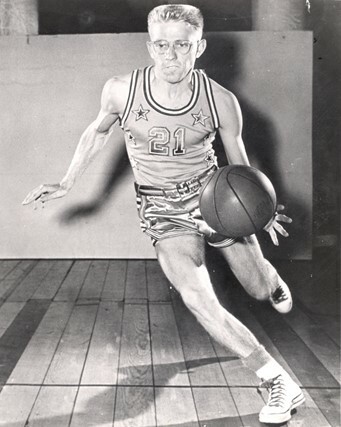 Upon ending his professional career, Bennie returned to the Army for two years, but continued to play as part of some All-Star teams. Exiting the Army, Purcell began a new professional career as a teacher and coach. He spent six years coaching high school basketball, the last at his former school in Mt. Vernon Il. In 1963 Purcell returned Murray State as a teacher and assistant to head basketball coach Cal Luther. While teaching physical education at Murray State, Bennie picked up a new game, tennis. In 1968 Purcell was offered the job of head coach for men's tennis. Despite his limited playing experience, He coached the team to an OVC title in his first season. Bennie left his position on assistant basketball coach in 1971 and focused on tennis. As a player Purcell would rise to the top-ranked singles and doubles player of his age in the state of Kentucky, as a coach he would reach even greater heights. In Bennie's 28-year tenure as coach Murray won 11 conference championships, was selected OVC Coach of the Year 8 times, and had the university's tennis courts named in his honor. In the 1980's Murray won an amazing 10 straight OVC championships, sweeping the decade.